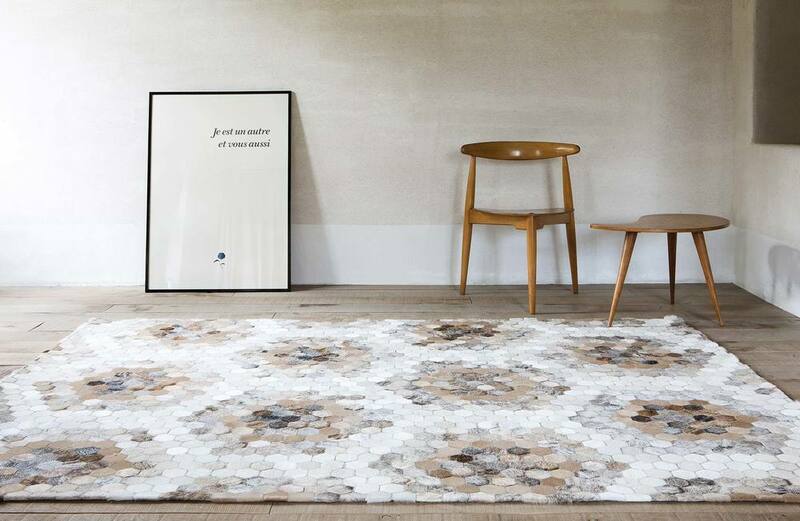 Limited Edition (LE) is a Belgian brand of designer and luxury rugs which are exported all over the world. LE is distinguished by its stylish collections of woven and hand-tufted carpets in wool, linen, cotton, leather or ‘cow-skin’, plus custom-combinations of the above. LE was established in 1992 by Katia De Witte. As Creative Director, she is joined by her brother James Dewitte, who is responsible for the commercial aspects of the business, and Philippe Hanet, who heads production. Limited Edition has made a mark in international design thanks to its creativity, ingenuity, high quality and customisation. LE a trendsetter and the recipient of numerous international design awards. Its client list boasts such recognisable names as Giorgio Armani, Hugo Boss, Laetitia Halliday and Michael Schumacher, in addition to several European royal houses. Limited Edition floorings are proudly ‘made in Belgium’ and are a natural first choice for designers and architects who have a private clientele with demanding tastes and aspirations. The company has its headquarters and two production units in Mouscron, Belgium. There are currently two showrooms in Paris, France, and one each in Brussels, Belgium; Amersfoort, the Netherlands; and Cologne, Germany. Openings in Milan, Italy; Barcelona, Spain; and New York, US are in the pipeline as LE continues to enlarge its worldwide presence and promote further collaborations with high end furniture retailers, architects and decorators.